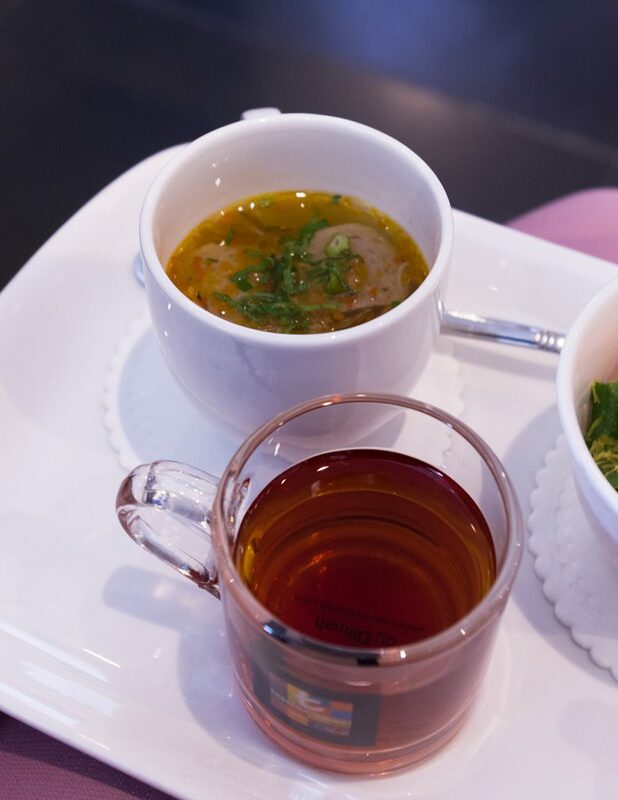 Tea is an inseparable part of Indonesian culture, when you are eating out in Indonesia you can see almost every restaurant have tea on their menu, even in a small eatery like warung you will usually be presented with a complimentary glass of tea. Visiting relatives house in Indonesia -mainly in a rural area- you will be served a cup of hot tea with sugar on the side and usually accompanied with a plate of piping hot fried banana. Despite all the popularity of this brew in the country, undeniably there is a peculiar dichotomy. 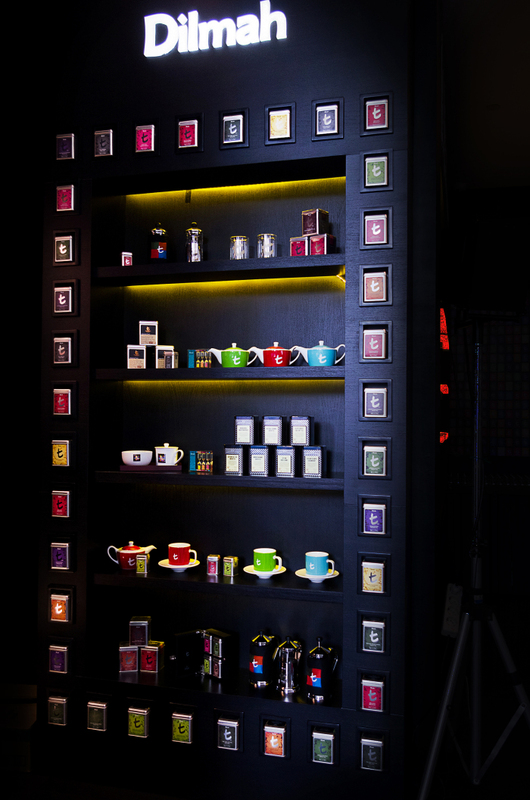 As a preferred drinks among all the circles, it indeed open the opportunity for the massive importation of tea to Indonesia, on the other hand, the growth of tea room or tea lounge in Jakarta is still far behind the coffee shop. This caused tea aficionado in Indonesia had limited spaces to enjoy a cup of decent tea. Luckily for Jakartan in the last few years cafe and restaurant that serves a decent cup of tea started to popping up in the city. One place to be reckoned with is t-lounge by Dilmah at Huize van Wely. First launched in Indonesia in 2015 this elegant and cosy tea lounge perfectly located in Sudirman Central Business District, South Jakarta. 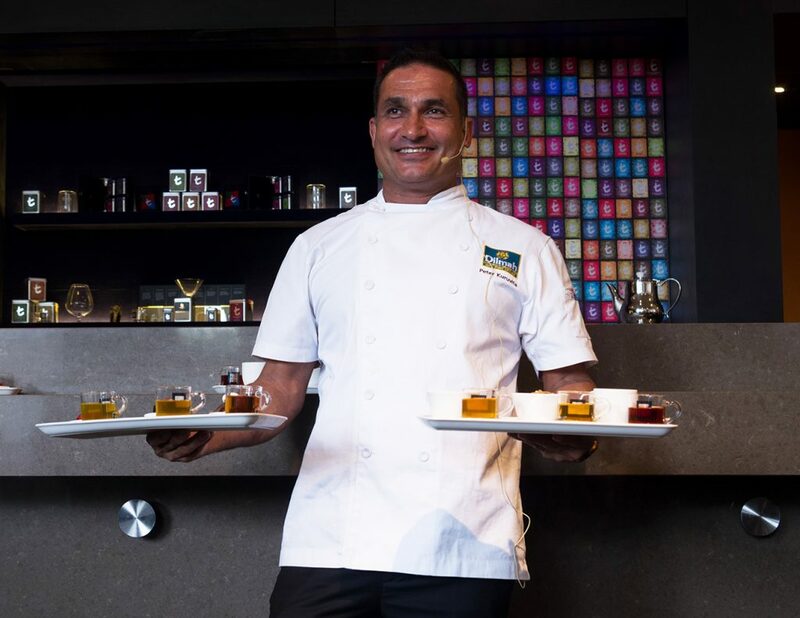 Dilmah collaborating exclusively with Huize van Wely -Dutch patissier that is famous for its high-quality chocolate and dessert- to serves good quality tea and delicious food for the visitors. 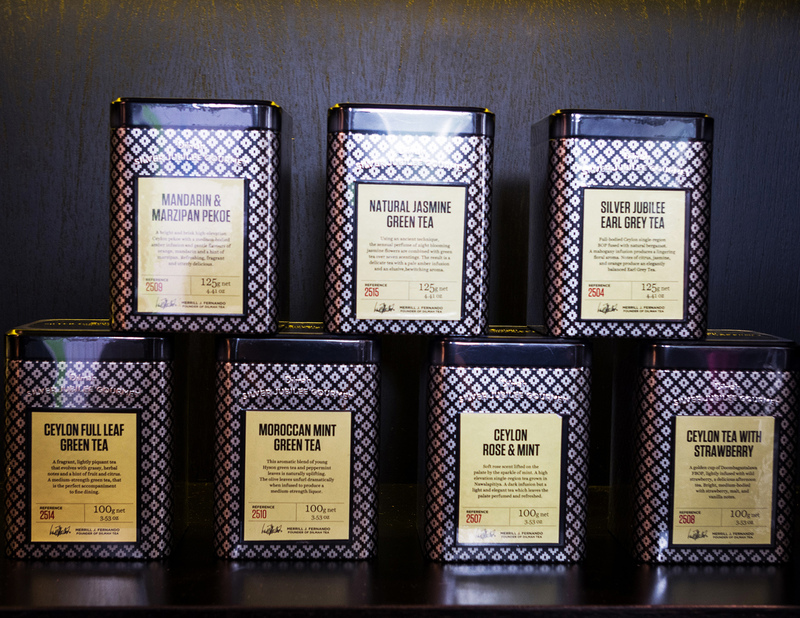 The t-Lounge by Dilmah is has a wide range selection of gourmet tea from Dilmah t-series, Seasonal and Single-Estate teas…such a heavenly place for the lovers of tea. 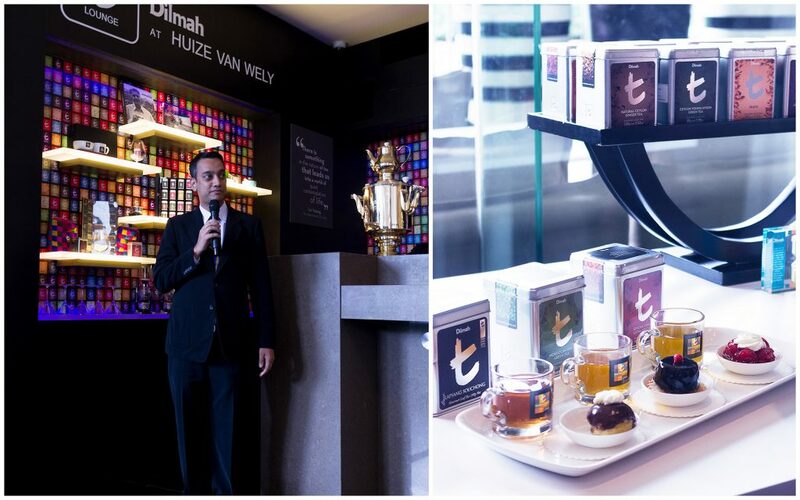 Dilmah tea Indonesia also frequently held a tea inspired event at Huize van Wely. 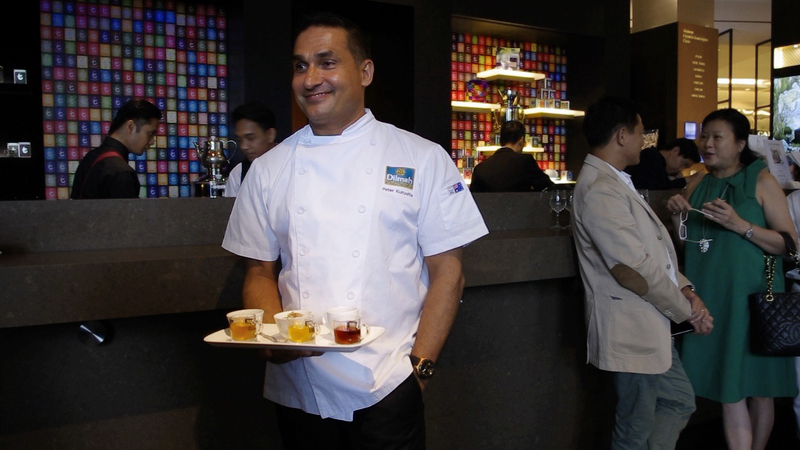 On March 21, Huize van Wely and Dilmah tea Indonesia honour the present of Peter Kuruvita, a renowned chef from Australia and Dilmah tea ambassador. 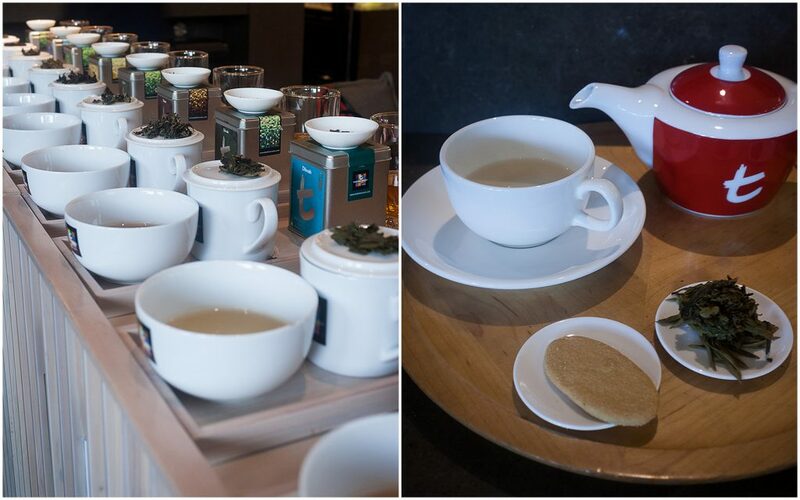 An exclusive event entitled An ExquisiTea by Dilmah held at Dilmah t-Lounge at Huize van Wely. 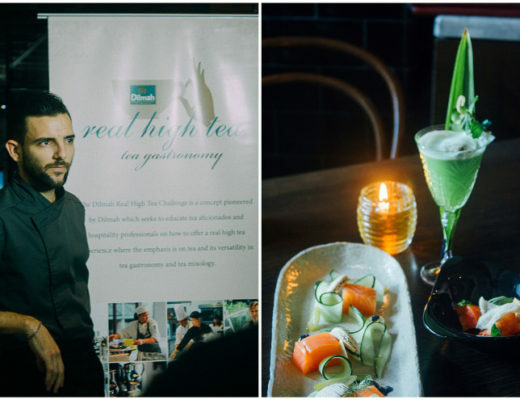 During the tea pairing session, the invited guest was served with some of the best selling menus from Huize van Wely, this menu the pairing with a selection of Ceylon tea from Dilmah. 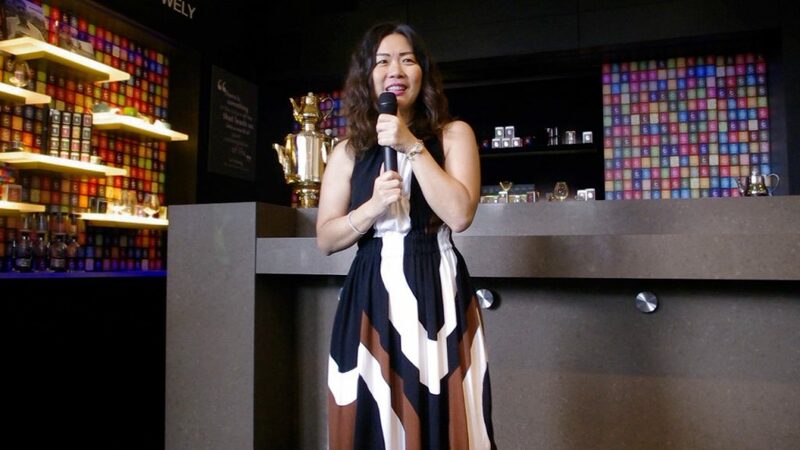 Before we start our tea and food pairing session welcoming speech given by Ms Eliawati Erly from Dilmah tea Indonesia and Mr Hasan from Huize van Wely. 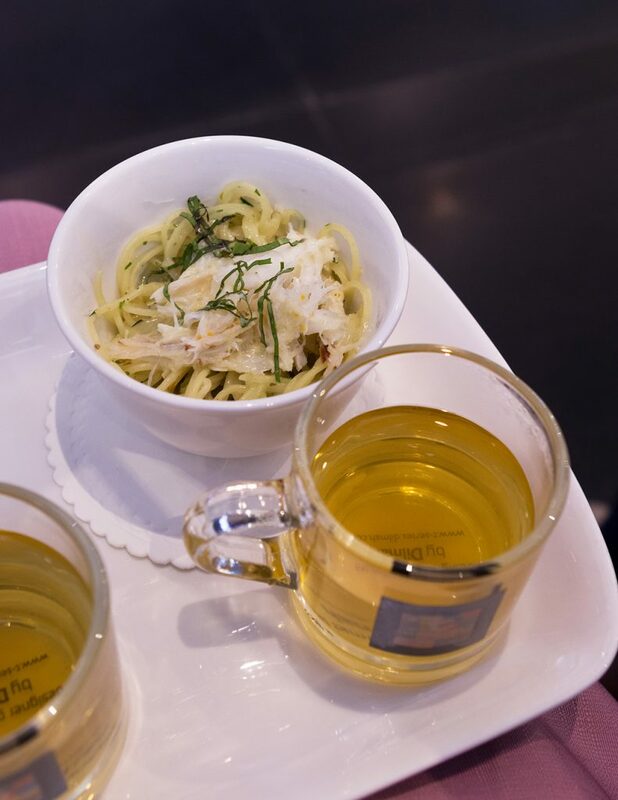 We started our tea and food pairing session with crab pasta dish. The flavour of this pasta dish is light with a hint of sweetness from the fresh crab meat and cream. 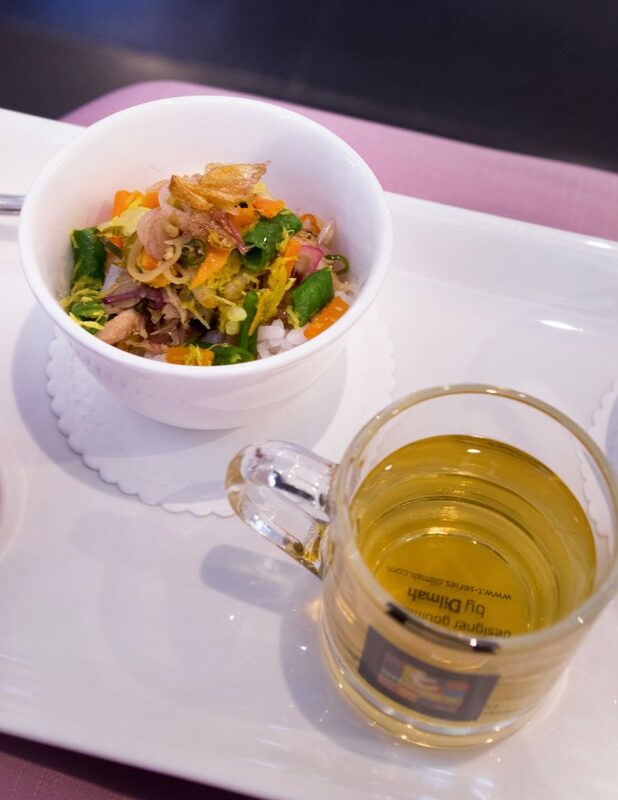 The lightness of white tea and delicate floral character from the tea enhance the sweetness of the crab and cream. This favourite chicken dish from Huize van Wely served with spicy sambal matah, white rice and vegetables. 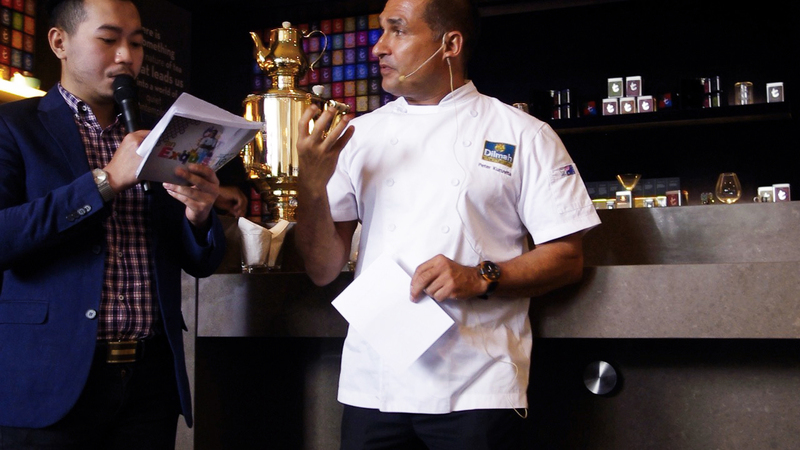 Peter Kuruvita said when he smells the aroma of Dilmah Chamomile the first thing that comes to his mind is a chicken dish. 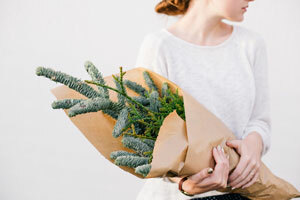 But for me, the strong floral aroma from chamomile reminds me with torch ginger. Huize van Welly’s sambal matah doesn’t use torch ginger and it lose the floral aroma, nevertheless eating it pairing it with chamomile tea bring some balance to the dish and also tone down the heat from sambal matah. Bakso is such a comfort food of Indonesian people. When you eat bakso in warung or small eatery, a glass of bottled tea laden with sugar is always be a favourite companion. This third pairing felt so familiar, bakso and black iced tea is a common food that mostly Indonesian eat daily. 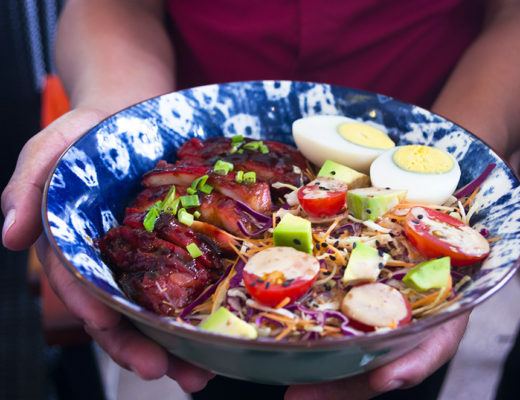 However, this version healthier and luscious. 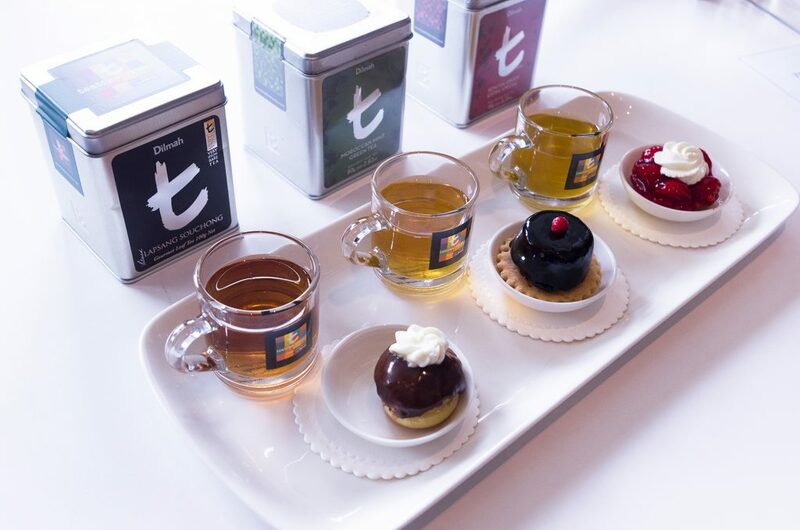 We started our dessert and tea pairing with strawberry tart from Huize van Wely and Dilmah Sencha green tea. The earthy and grassy flavour of Sencha tea is a good compliment for the sour and sweetness of strawberry tart. There is no doubt that chocolate and mint is a match made in heaven, that’s one of the reasons why chef Peter chose this combination. But another reason is because Dilmah Moroccan Mint Tea made good quality Ceylon tea and pure Moroccan mint leaves. Creamy pastry choux covered with rich dark chocolate paired with smokey black tea. At first, I was a bit sceptical with this combination because I never a fan of this smokey tea. But after I tasted it turns out chocolate and Lapsang Souchong is a good combination. 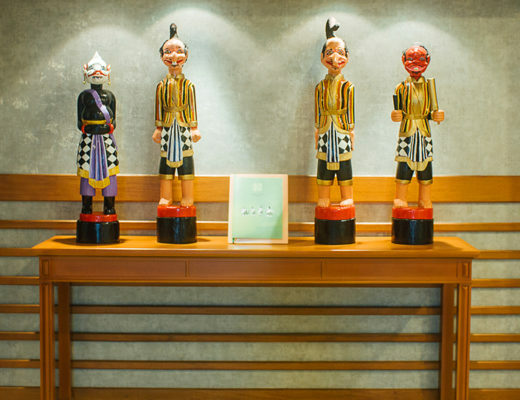 PT David Roy Indonesia as a sole agent of Dilmah in Indonesia always committed to bring the high-quality products for Indonesian hotel and cafe, and also for other food and beverage service company. One of the newest products from PT David Roy Indonesia is Dilmah Silver Jubilee series.